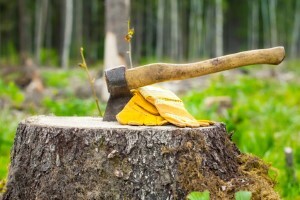 Do you have a tree or trees on your property that you want to be removed or properly trimmed? If so, you are probably looking for an affordable option to clear your property, remove that one dying tree, or trim groups of branches on several trees. Our Petersburg tree removal and Richmond tree service experts at C.S. Flournoy Inc. can help you with the project whether it's tree care or the entire property that needs to be cleared. There is a process that needs to be handled with skill so the tree is not damaged and new shooters don't start to grow. Our skilled tree care experts clean up your property with expertise. We not only trim the branches, we turn your trees into works of art with careful pruning techniques. Unhealthy trees can cause huge problems for a homeowner. Many times the issue can be properly treated prior to the turning point of losing the tree or others on the property. This is handled by our professional arborist who can identify diseases, insect infestation problems, and other problems. You will find out what needs to be done to treat the problem or if the tree must be removed. Just give us a call and tell our staff you need our professional Arborist to examine your trees. If you are looking for a Petersburg Tree Removal Company then please call 804-264-1000 or complete our online request form.